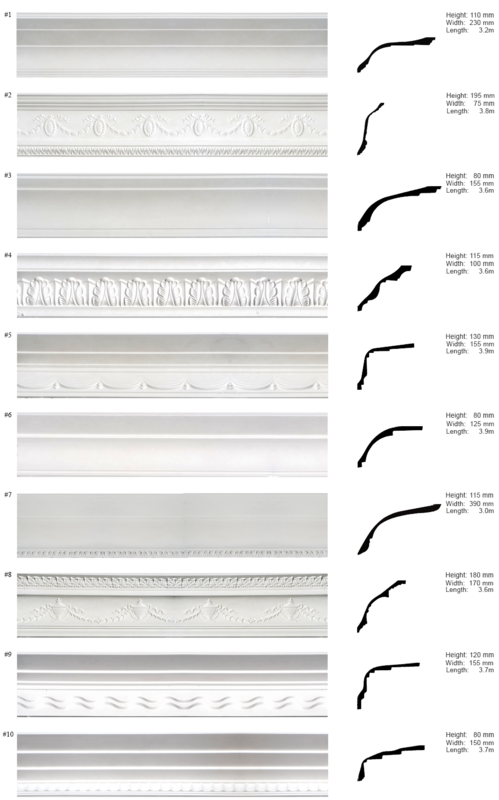 No room is complete without luxurious fibrous plaster cornice, whether it be decorative or plain. Cornice enhances a room to soften and set the tone of a rooms decor. Plastercrafts comprehensive range includes designs to suit old and new properties. 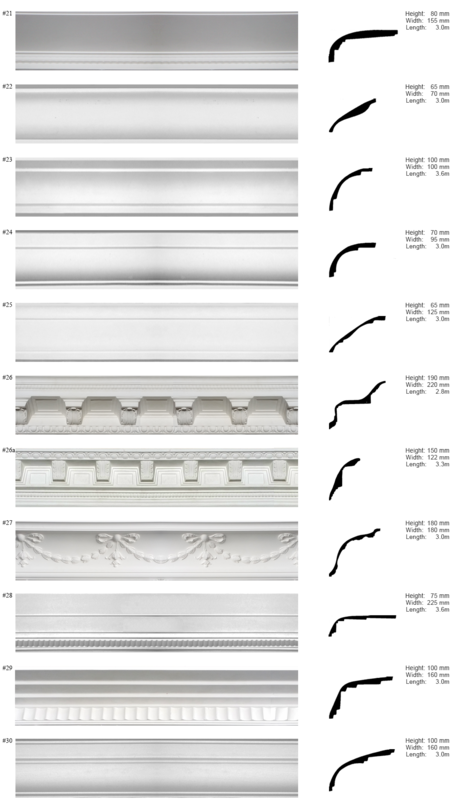 If we do not have an existing mould to suit we only need a small sample of the existing cornice and we can replicate it.